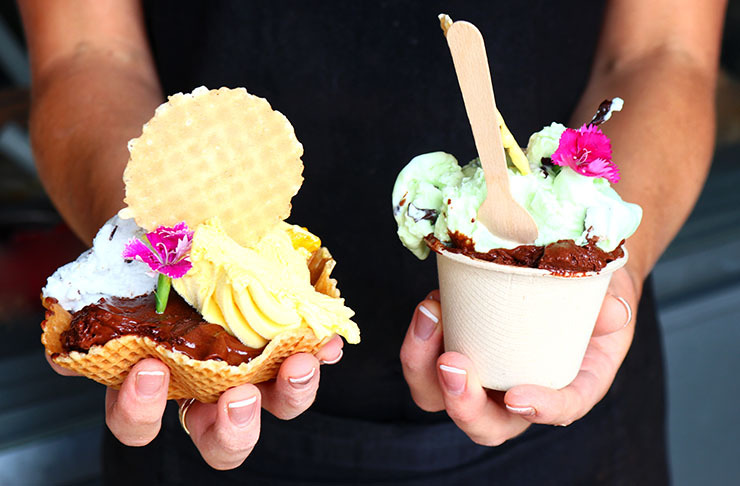 Good things come in small packages, especially with Auckland’s new one-stop sweet spot Little ‘Lato. Brought to us by gelato extraordinaire Hannah Wood, this wee gem can be found alongside the oh-so popular Crave Cafe. Making use of her teachings from the Gelato University in Italy (yes, that’s a thing) you’ll find new whacky and wonderful flavours on the daily. A passion project for Hannah, each flavour has been crafted from scratch so you can count on only the best every time. Hanna’s top pick is the smooth and creamy banana peanut butter or, if you’re in the mood for a sweet treat look no further than the indulgent blackberry, gin and basil sorbet. Love at first lick, this harmonious blend is sure to have you coming back for more. With dairy-free options available, beating the heat has never been so delicious. In a cone, tub or waffle bowl you’ll be able to take a scoop of deliciousness with you on the go!